Georgia metal band Baroness are preparing to release Purple, their first album since their 2012 tour bus accident and subsequent lineup change. Now, they've rolled out a new track from the collection with "Shock Me." The song begins slow, with a half-minute into of soft keyboard chords. After that, the arrangement explodes into a triumphant rocker with searing distortion, thundering drums and a shout-along mega-chorus of "Shock me / I needed a surprise." Throw in a wailing solo and it all amounts to a tuneful, dramatic scorcher. Meanwhile, the visuals consist of purple abstractions and gothic-looking illustrations, while the lyrics pop up one word at a time. Purple will be out on December 18 through Abraxan Hymns. 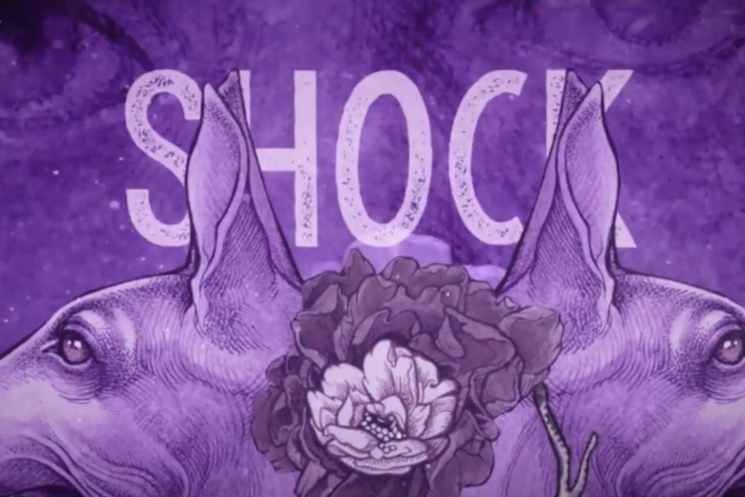 "Shock Me" follows the previously unveiled "Chlorine & Wine."